looks like after this 1.7kg pack Blackwood finish Seven will be switching to Orijen. I'm feeding Hakao Wellness Core Ocean (fish formula)and the next 3 months will switch to Lamb formula and then chicken formular but still under the same brand. i want to get Orijen 6 fresh fish but it's not available here. most of the people here are feeding orijen right? Fluff? is it the name of petshop? yes fluff is a name of petshop. And you said it takes 6 months to finish a 3kg pack, Hakao is seriously a small eater! Yeah....he eats about 20 kibbles + 1 small pcs of Zuke's Hip Action (a treat which contains 300 mg of Glucosamine and 50 mg of Chondroitin to support and maintain joint function, must eat coz he has a joint problem) + 1 pcs of pumpkin cookie (sauce of Beta Carotene) per meal and only 1 meal a day. eat so little!! Do you think we can mail you the orijen LOL if you cant find it anywhere.. I have only been adding pumpkin into their meal, but not pumpkin cookie. Did you buy that cookie? Yenlu....do you have any websites for online petshop in Malaysia? 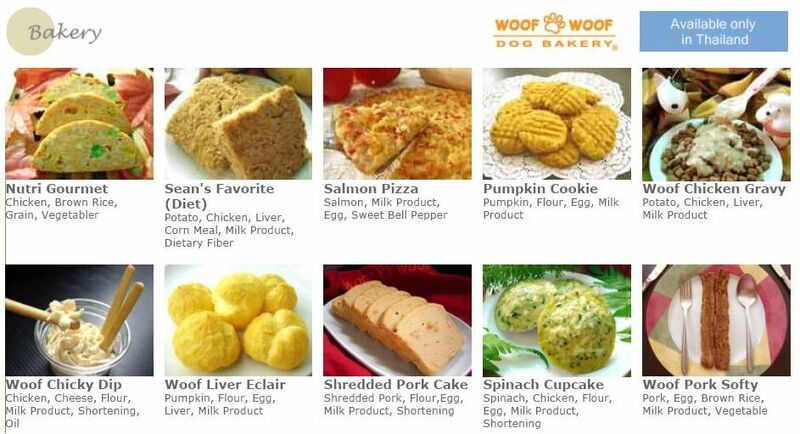 i wanna take a look..
Yeah.... i bought it from Woof Woof dog bakery. Hakao likes Chicken Softy, liver Brownie and Pumpkin Cookie so much. The above bakeries are for dogs but Human grade for ingredients, and it's the only brand of treats that availables here i buy for Hakao. Our local baker should learn more from them, looks so delicious. 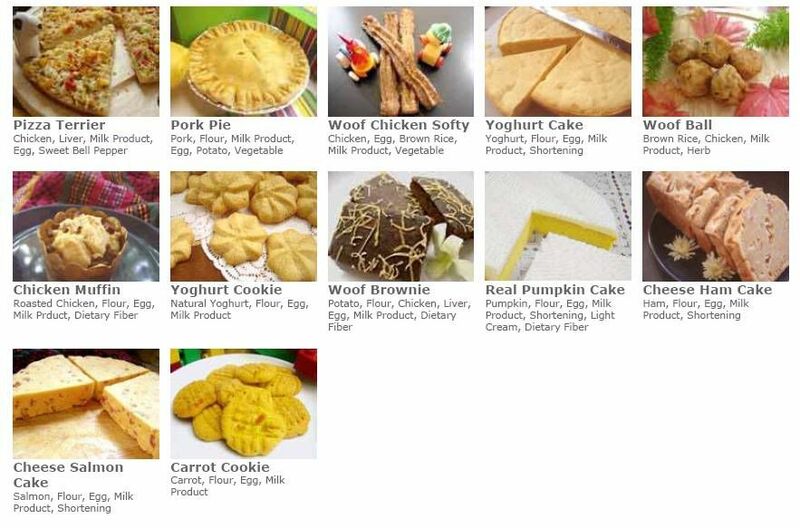 wow...dog bakery in Thailand looks so delicious. Yenlu, since u so free at home. Think abuot baking nice cookies for out furkids bah! somemore u so geng in baking de...the last time u bake de cookies why no bake jor?? sure nice de...i wanna eat oso !! !